Blending wine used to be commonplace many years ago, then it became taboo, until recently where now we are seeing blending wine as one of the fastest growing trends in the industry. American consumers have come to love blended wine. Blended wine is typically composed of anywhere from three to five or more unidentified and often disparate red varieties. The blended wines typically have flashy names and various lurid identity systems. The growing trend has big wine companies scrambling to capitalize on the demand. The big wine companies are actually huge proponents of the movement. They have vast vineyard holdings and surplus juice, making for the perfect combination for blended wine. Blended wine is not tied to a specific vintage or place, the wines can be made from anything and come from anywhere. 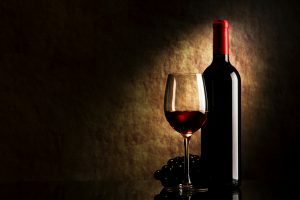 Marketing blended wine also becomes easier since there is no specific identity, it allows the producer to take more liberty with the marketing and promotion of the bottles rather than the traditional wine label.